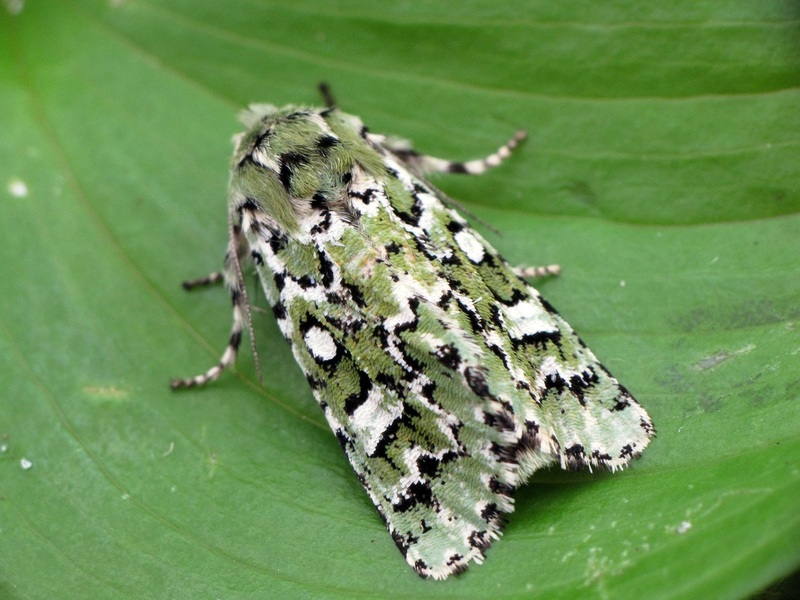 The cutworm moth has green (sometimes yellowish) fore wings with scalloped black and white markings, and three squarish black markings around the reniform spot on each wing. The hind wings are cream. The moth's wingspan is 33-39 mm wide. 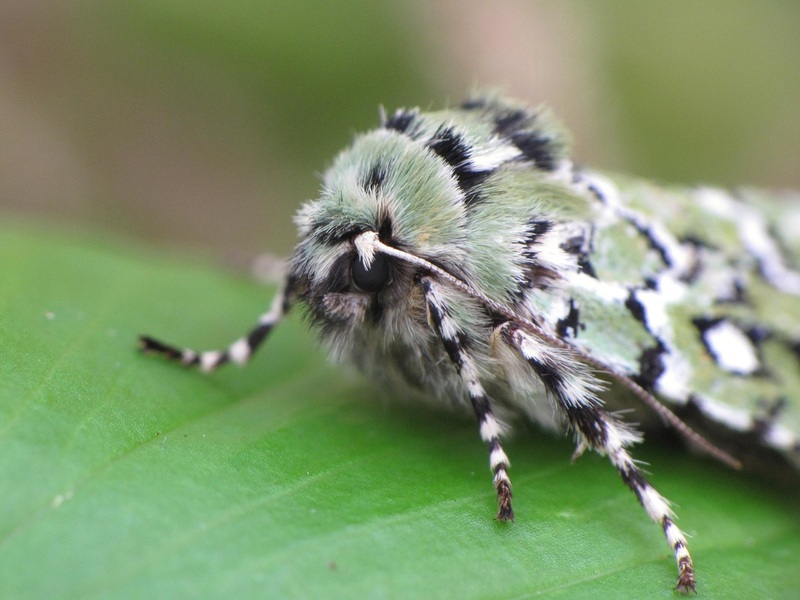 The cutworm moth larva is green with three white stripes along the back, and a bicoloured stripe (spiracular stripe) along the bottom of each side (white and yellow below, red on top). The larva reaches 35 mm long. Click here for more detailed identification information. The cutworm moth can be seen in spring and early summer, while the larva can be seen in summer and early fall before it pupates in September. This species inhabits coniferous and mixed coniferous-deciduous forests. The larvae feed primarily on Douglas fir as well as western hemlock, subalpine fir, and spruce. This species is found in southern Canada from British Columbia to Newfoundland, and south into the northern United States: to Oregon in the west and to North Carolina in the east. Other Feralia species appear quite similar, including the deceptive sallow moth (F. deceptiva). Species Feralia comstocki - Comstock's Sallow - Hodges#10008. BugGuide. Iowa State University Department of Entomology. Accessed 11/03/2016.